It may be daunting to make such a purchase over the internet you may be a little unsure. Here are some kind words from just a few of our customers which might reassure you. 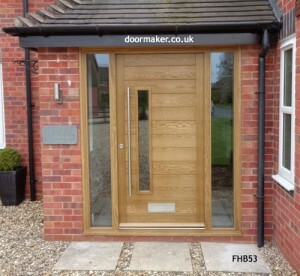 I am writing this email to say a big thank-you to yourselves and your team for the double doors fitted to the house. (My parents place lol). I know the job was done a while ago and I was suppose to send an email then. Apologies for the late email on saying the words – THANK-YOU!! We appreciate how you took on the job and also how you complied with our requests. I also appreciate how the payment for the fitters, was sorted out by your office team. Many thanks again. Much appreciated. Just to add alongside with this – that your team provided excellent customer service, were attentive and were extremely efficient in conveying information as well as taking on board the information provided from us. The double doors are admired by many people and they say how they look nice. It is a nice simple, elegant design. I wish you and your team every success and prosperity!! Peter and I wish to convey our sincere thanks for the wonderful workmanship of our front door. We are delighted with it and now have a perfectly fitting and secure door. We would also like to thank the fitters Ian and Phil who did a superb job. Their care and attention to detail was outstanding. Also when the job was complete they did a magnificent job clearing and cleaning up. 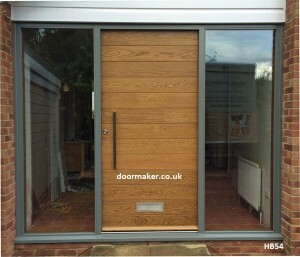 We are in the process of purchasing an apartment in Poole, Dorset, and when the time comes we would like you to make some folding patio doors with the proviso that Ian and Phil do the measuring and fitting. Once again many thanks to one and all for all the good work. I thought I would write to personally thank you Phil and Ian for the fantastic installation of my new front door. 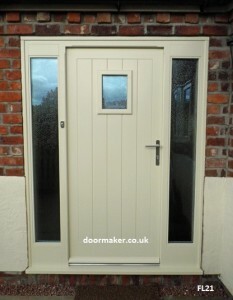 The quality of the door and more importantly the quality of installation was fantastic. I have been undertaking major renovation work in my home and I can honestly say the service provided by your company was first class, the only job that went ahead without an issue. I am more than happy for you to use this testimonial on your website. 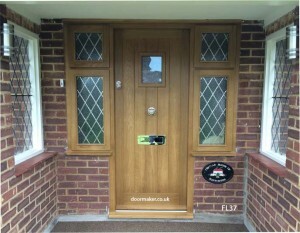 I would advise any future customers to use your fitting service as both Ian and Phil are very experienced,they do a first class job, these are quality doors and require quality tradesman to install. Once again thank you. 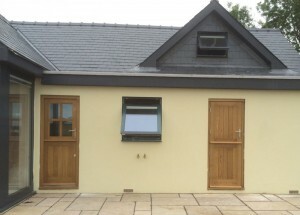 Just a note to say thank you very much for the for the door and frame you supplied. I am really delighted with how it looks, but most of all the quality of your workmanship. Even my carpenter was praising over how well it was made, and suggested that if I moved I should take the door with me. As you know Phil and Ian fitted the door for us today. It looks absolutely superb and has been fitted perfectly. I will drop a note to the guys shortly, but this is just to say thank you for a great product. Please pass on my thanks to your joiners who put this together for us. I have already shared some photos with my colleagues and have your details to give to anyone who wants to know where we got the door from. Next up might be a pair of new garage doors when funds allow. yesterday went well and Laura and I have a beautiful new entrance which has transformed the front of the house and the hall. I just wanted to thank you and your team for taking such care to design and construct such a high quality product. Your installation team were a delight to have here. They were cheerful, diligent and clearly care about getting the installation perfect. The handles are perfect – you should add this to your portfolio as an option rather than a special item. They complement the door greatly and look very classy indeed. I’ll send you a photo if the sun ever comes out! Just wanted to let you know how delighted we are with the new door. It looks fantastic and really makes a huge difference to the house. Phil and Ian did a wonderful job on what we thought could have been quite tricky. No damage at all done to any of the other decoration. Then cleaned up perfectly when they had finished. Very pleased with the 3 doors we ordered with you. Quality is fantastic. The whole process has been very professional; efficient and easy. I will send you photos when everything is completely finished. The fitters were great to. I will certainly recommend you and use you again. 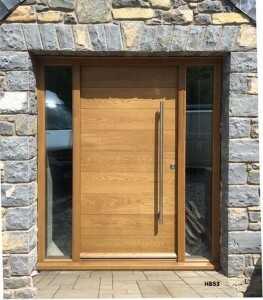 Just a note to say our new door is beautiful – great quality. We just need to upgrade the rest of the house to do it justice! Gary & Carole – Picture to follow soon.. This time last week Ian and Phil were making excellent progress installing our new door and we felt no more time should pass without us writing to say how pleased we are with our new door in its entirety. Thank you for the time you have given to us, the manner in which you have answered our questions, given advice and understood our requirements and preferences. It was great to be able to visit your factory and to see the manufacturing process. It has all been ‘just right’ for us. Martin is ‘repairing’ some of our windows this summer but a decision as to replacing them, in the future, is becoming a serious proposition. If,and when, we take the plunge we would hope that we could visit you again to discuss widows. Good luck with your new office and showroom. 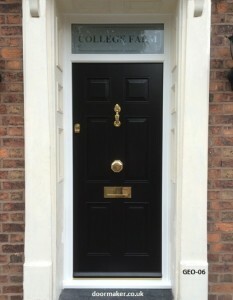 We wanted to send our thanks to you and the whole team following fitment of our wonderful doors at College Farm. The service and support we received throughout the process was professional and courteous with the quality and finish of the doors and frames being exceptional. 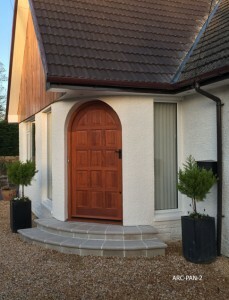 The peace of mind also provided during the survey and fitting has resulted in a stress free professional service which we would recommend to any of your potential new customers. Kind regards and thanks again for everything. 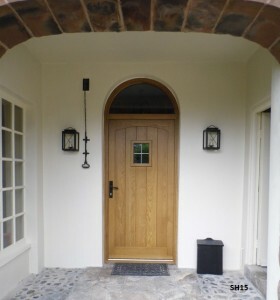 I am going to try and send you some photos from my phone re the arched door, if they don’t arrive just let me know. I would also like to take the time to thank you all for what is more than a door but a work of art. Very few people have the skills today. Just wanted to say a quick thank you for the wonderful door! I would add that I experienced an excellent service, from both yourselves and the fitters you provided (Phil & Ian) and it has been a real pleasure. I will be highly recommending you to anyone who asks, and wish you all the best in the future. 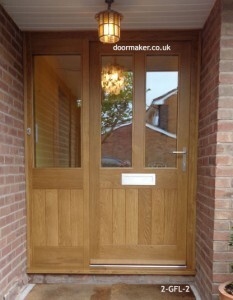 I thought you might like to see a few photos of the new front door now that it’s fitted. I had a little bit of paintwork to touch up, but it’s done now & looks fantastic. 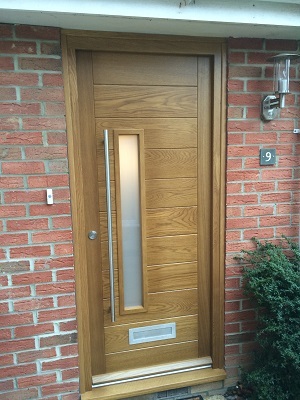 Very impressed with the quality of the door, so many thanks! P.S. – Also included a few “before” shots, so that you can see the difference.